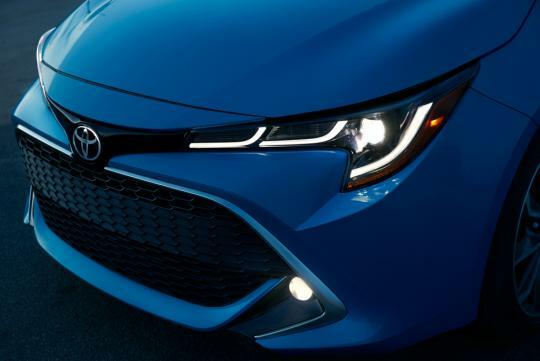 For the first time in North America, Toyota's newest, stylish, and most technologically-advanced small car, the all-new 2019 Corolla Hatchback, makes its debut at the New York International Auto Show. Don't let its diminutive dimensions fool you―the hatchback, in either SE or XSE grades, is all about making a huge impression. 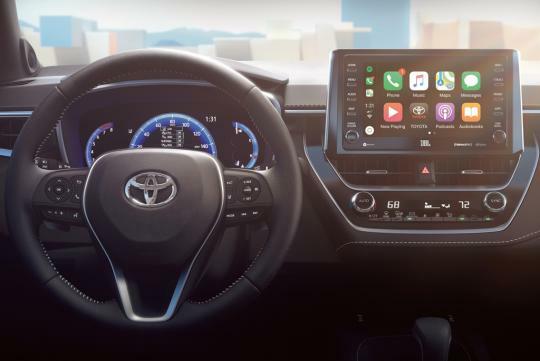 With its lengthy list of standard features that includes Entune 3.0 with Apple CarPlay and Amazon Alexa Connectivity; a revised sport-tuned suspension and new Toyota New Global Architecture (TNGA) platform; and the first North American application of Toyota Safety Sense 2.0, Corolla Hatchback strikes a resounding chord with drivers who value authenticity, utility, practicality, and style. 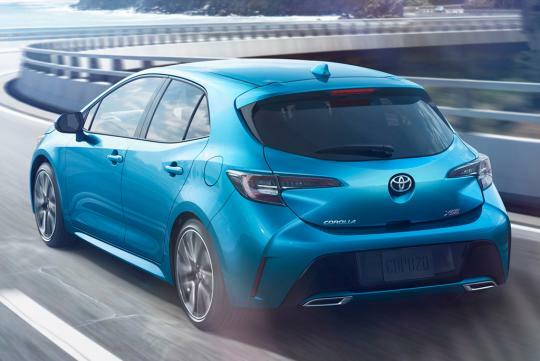 Its new rear style articulates Corolla Hatchback's overarching emphasis on athletic presence. The relationship between front and rear design is closely aligned given the rear's more rounded physique that encompasses simple, condensed, yet powerful, three-dimensional landscapes. 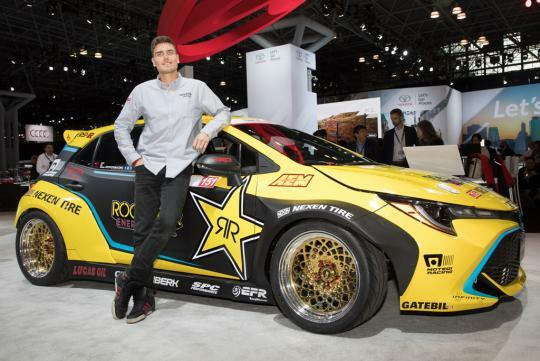 Its hatch―now made from TSOP (Toyota Super Olefin Polymer) and ABS (Acrylonitrile Butadiene Styrene)―is not only lightweight to aid fuel efficiency, it is set at a steeper angle (moved 14 degrees forward) for that ultimate sporty look. The rear all-LED taillamps feature a diffusing inner lens designed to highlight the hatchback's stout stance. And the rear bumper styling echoes the frontal Under Priority Catamaran design with its thin lower lip and chrome diffuser. Differentiation between SE and XSE is distinct. Both grades receive LED headlamps and taillights, chrome rear diffuser, and alloy wheels. XSE ups the ante with 18-inch wheels, LED fog lights, chrome front grille surround, and an available innovative Adaptive Front Lighting System (AFS). AFS―available only on XSE CVT―allows for the focused distribution of light in an area that matches the vehicle's speed and steering angle. The Bi-Beam LED units move vertically and horizontally to provide optimal light output by analyzing steering angle, vehicle speed, and the vehicle's longitudinal axes angle to adjust lamps. 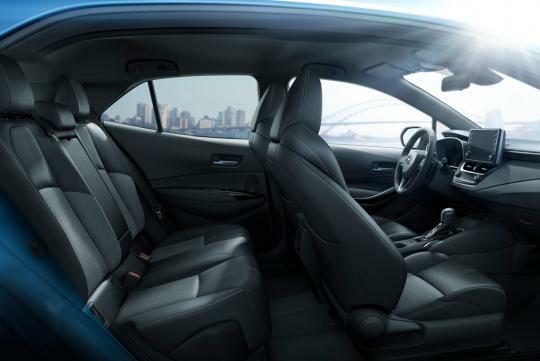 Corolla Hatchback's seamless unification of comfort and sporty controllability begins at its TNGA C platform. The compact structure employs a mixture of adhesives, spot welding, and additional bracing―top to bottom, side to side―for the benefits of driver controllability and low fuel consumption. On-road feel and fuel efficiency is further refined through the extensive use of aluminum and high- and ultra-high tensile steel in the lighter-weight chassis and body. In fact, torsional rigidity is improved a massive 60 percent compared to its predecessor. 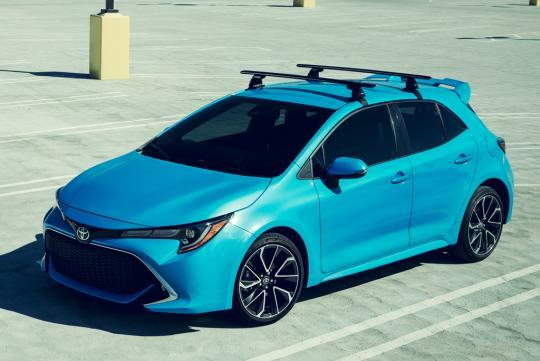 The end result: A Corolla Hatchback that possesses an uncanny blend of balance, composure, and feel that'll have its driver pining for windy roads―time and time again. It looks better than the CHR! 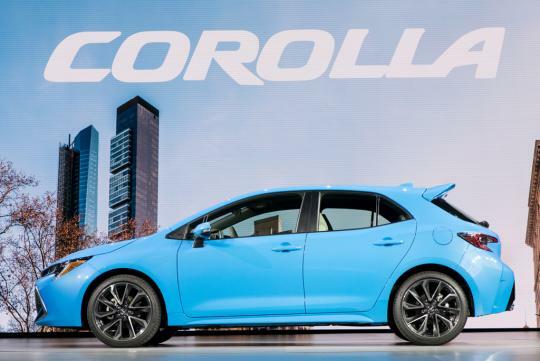 Toyota just launched Corolla Sport for the Japanese domestic market. Engine is CHR force induction 1.2 litre engine. Hope this version may eventually be sold in Singapore. We can understand as the no. of cars coming daily on the roads, congestion level increased. 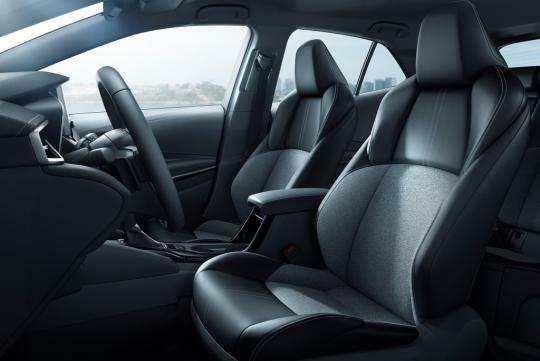 This time COROLLA finds the solution with a compact size so far as other company doing in the market. In Dubai there are many Rental Cars company are also using such kind of compact sizes of cars to delivers the best cars for clients.